The author of a new paper on Sino-Russian relations has written that the fallout from the Ukraine crisis threatens to make that relationship “even more lopsided than before”. Vostok Cable’s Josh Black explores the current state of play, and asks whether the deepening financial ties between the two countries mask an ideological divergence. 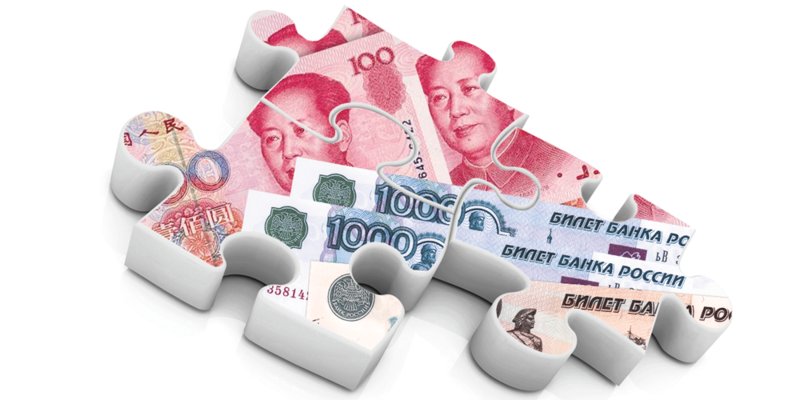 Banking on Beijing – too big to fail? As part of its series on China’s fast-changing role in world affairs, the London School of Economics’ international relations think-tank, LSE Ideas, has commissioned Björn Alexander Düben, an Assistant Professor at the Jilin University in China, to summarise the impact of the Ukraine crisis on relations between Russia and China. The popular revolution and resulting civil war in Ukraine, he writes, “has irreversibly reshuffled the interaction between the world’s great powers,” and at the forefront of this change has been the often-stilted relationship between Russia and China. Lest we forget, falling out with China cost Russia – or more properly, the Soviet Union – the Cold War. As the two countries parted ways, first after the falling out of Mao and Stalin in 1949 and even more significantly, after Nixon’s rapprochement with China in the early 1970s, the Soviet Union found itself distracted and increasingly threatened by its neighbour. In the 1990s, China made the transition from traditional Marxist-Leninist communism to authoritarian capitalism slowly but surely, while Russia’s transition has been a chaotic affair. China’s economy is now set on a path to global hegemony, while Russia’s is the source of considerable doubt as to its stability and durability. Yet ever since the rise of Gorbachev, maintaining good relations with China has become an obvious objective of the Russian leadership. Vladimir Putin, in his decade-and-a-half at the helm, has several significant achievements in this sphere, notably reducing border tensions by demarcating the border in the early 2000s. Throughout the crises financial and geopolitical, China has become Russia’s indispensable partner. As the European Council on Foreign Relations’ Alexander Gabuev has written “The longer Russia is forced to orient itself towards China, the more important the consequences will be. Some key elements such as arms deals and Chinese control over key resource deposits may become irreversible”. Both Russia and China saw a litany of interests threatened by the popular revolution in Kyiv that lasted from November 2013 to the flight and impeachment of President Viktor Yanukovych the following February. Yet, as Düben points out in his paper, while those of China were mainly business interests, Russia faced the loss of a political ally, the moorings for its Black Sea Fleet, and the potential collapse of its signature Eurasian Economic Union project. And with Russian and Ukrainian national identities closely entwined (to some), the prospect of a revolution against leaders seen as corrupt and undemocratic hit closer to home in Moscow, even as Beijing showed concern. As a result, Russia has become much more closely involved in the crisis in Ukraine, with arms and soldiers flowing across the border (though the Kremlin denies that these are state-sanctioned). China, by contrast, has adopted a policy described by one state official quoted by Düben as “lie low on this issue, wait and see how it plays out, and at the end… be friends with everybody.”Russia does not enjoy the luxury of remaining on friendly terms with America and the European Union. A host of sanctions, targeted initially at key individuals but now matched with an export ban on strategic technology and machinery have hit officials, but also banks, oil companies and the currency, which suffered a dramatic involuntary devaluation in 2014. That created momentum for a renewed engagement with China, from which Russia came away with credit lines for sanction-hit banks, a new deal to sell China up to 20 per cent of its yearly gas requirements, a share of a new oil field in Siberia, and vague promises of further financial support, should its currency come under renewed pressure. Increasingly, it seems possible that the rouble will become more dependent on the yuan than on the dollar in years to come. A new era of friendship? The desperation of Russia’s situation may mean that the terms on which it won Chinese support were less advantageous than they might otherwise appear, however. The gas deal, which had stalled on seven different occasions before being signed in 2014, is seen as a particularly dubious transaction; while it was perhaps inevitable that the gas it will pump across the Chinese border will sell for less than in Europe, the kicker may be the much higher infrastructure costs Gazprom will bear as part of the deal. Perhaps more significantly, China’s bilateral relationship with Russia does not reflect an acceptance of the leading role Russia itself wants to play in its near-abroad. Düben is right to acknowledge that Chinese foreign direct investment in Russia is rising, but this is not unique. Kazakhstan, another country in Putin’s Eurasian Economic Union, accounted for 70 per cent of Chinese foreign direct investment in the Commonwealth of Independent States in 2012 (broadly the ex-Soviet Republics, minus the Baltic States). That remains unlikely to change dramatically any time soon. Perhaps the most interesting part of Düben’s argument comes with his discussion of the diplomatic and ideological implications of the Sino-Russian relationship. Russia’s postmodern approach to international statecraft – its affirmation of sovereignty and non-interference except, in cases such as Georgia and Ukraine, where its views those concepts as unwieldy – does not pass muster with China, which approaches separatism with stern disapproval. Yet as Düben notes, Russia’s successful coup in Crimea was carefully watched in China, and has been popular with state-owned media and the public at large. The idea that platoons of ‘little green men’ might pop up in coveted Taiwan or (perhaps less probably) in Russia’s own Far-East is among the scariest propositions in Düben’s account. Ultimately, while this is apparently rarely spoken-of as a factor in US diplomatic circles, it may be that part of America’s calculation is keeping the pressure on Russia now is its best hope of keeping China in check in the future. Tags: China, international relations, Russian Federation, Ukraine. Bookmark the permalink.